I can't say I've noticed Anker on here all week. 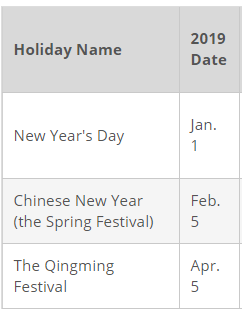 Perhaps another holiday? Even Rosa has gone quiet this week. A quick google search showed that China had a public holiday yesterday. I hope they are having a great qingming festival!! Woohoo, thanks everyone who liked my post. Wish I could have gotten the atom, but I'll take what I can get and that c1 will definitely be put to use. Was close to first prize but congrats winners! What about the Social Media winners? Thanks for letting me win anker! Congrats to the other winners as well! I had a great time this contest! Omg thank you so much Anker you’re the best!! Congrats to everyone else that won! Thanks a ton @AnkerOfficial!! Congratulations to everyone else who won the contest as well. And thanks everyone for liking my review!